One of the biggest problem that’s holding a lot of artist back is the tendency to over think a drawing project. You stare at a picture forever not knowing where to begin and when you do finally start drawing, you agonize over every single stroke and curve. Erasing and re-drawing, erasing and re-drawing. 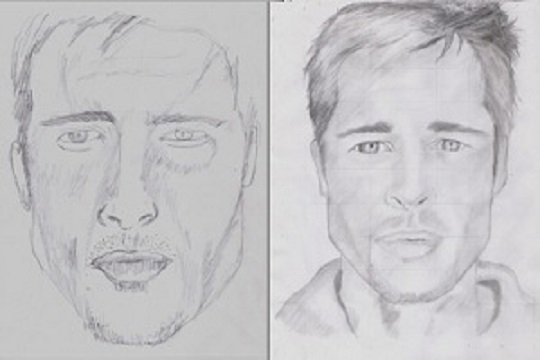 The whole process becomes quite frustrating and your final art work is never as good as you’d like it to be. This is the artistic equivalent of writer’s block and the reason you (and so many other artists) suffer from it is simple: you are trying to draw AND edit yourself at the same time. In order to draw you must engage the creative side of your brain but when you edit and critic yourself, you are engaging the analytical side of your brain. The two cannot both function at the same time. It is the equivalent of you trying to walk forward and backward simultaneously; the result is paralysis and you end up going no where. Ok, so how do you break this all too common habit? One simple, yet devastatingly effective exercise is the “60-second sketch”. This is a gesture drawing exercise. The way it work is you pick out a picture of a figure that you want to draw and then draw it in 60 seconds. After 60 seconds, you HAVE to stop. Now obviously you’re not going to be able to draw a very complete figure in 60 seconds, but that’s the point. This exercise forces you to let go of any self-editing tendency and allow your creativity and energy to flow through. You stop obsessing about the details and begin to see the figure as a whole. This, by the way, is the key to adding life and emotion to your drawings. Do this gesture drawing exercise at least one time a day and you’ll be well ahead of 95% of artist out there. 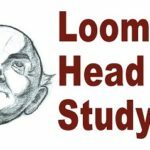 -Make long broad strokes. This means you should be gesture drawing not with just your wrist, but also your arm. It also helps to practice on a large piece of paper so that you have more freedom to move around. -Warm up by doodling or drawing long vertical and horizontal lines across a piece of scratch paper. As simple as this sounds, it will wake up your hand and make the exercise much easier and enjoyable. Now just because you are engaging your creative brain, does not mean that the analytical side is not important. That’s not what I’m saying at all! You just shouldn’t be trying to hone both skills at the same time. But true greatness can only come when you have both creativity and a solid technical knowledge of your craft. 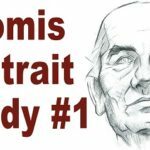 In fact, by strengthening your knowledge of anatomy and the human body, you’ll find that you’ll be able to product these 60-second sketches effortlessly and that they will come out much more detailed and realistic. One great tool for building your knowledge of anatomy is my ebook “Shortcut Secrets of Figure Drawing“. It has TONS of illustrations of every human body parts for you to reference and draw from. The e-book comes as a FREE bonus when you invest in my “Secrets of Figure Drawing” course (which also has a great section that covers how to draw anatomy). Together the two compliment each other very well. 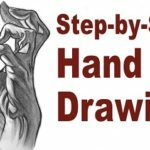 You will learn how to draw the different parts of the body step-by-step inside the main course and the bonus e-book will serve as a great reference for you to hone your skills. CLICK HERE To Claim Your Course & Get The Shortcut Secrets of Figure Drawing For FREE! I hope you found this article helpful. Please leave a comment below and tell me what you think. Thank you so much for your amazing hints. 🙂 I have shared your video with my friend and she was so satisfied and happy to get to know your video figures. Thank you so much! This was tip was so helpful. Now I will make progress at a quicker pace. Got the dvd’s but I thought a hard back book came with it. I did get the eBook if that is what you were referring to then we’re good. Sorry about the confusion. Yes, the “Shortcut Secrets of Figure Drawing” is an ebook and not a physical book. Thank you for the purchase!